Every Thursday there is an open market in the Market Place around the Town Hall in the centre of Town. The stalls offer a wide variety of goods from fresh meat; eggs; breads & cakes; vegetables; plants and flowers to clothing for men, women and babies and shoes. There are stalls offering dried fruit & health products and biscuits & sweets. Our regular stalls also include books & magazines; hats; scarves & costume jewellery; second hand precious jewellery; household consumables such as cleaners/bin bags, etc; stationery and picture frames to buy or made to order. There are also stalls to cater for your pets’ needs and to repair or service your vacuum cleaner. A number of our stallholders have attended Wetherby Market for many years and offer personal service and very reasonable prices. If you are interested in having a stall on the market, whether temporary or permanent, then please contact the Deputy Clerk. We are pleased to be able to offer charities the opportunity of a market stall at a reduced fee to promote their activities or sell goods to raise funds. 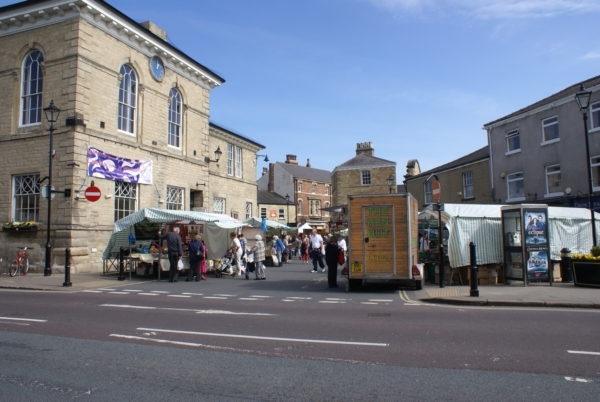 Wetherby Farmers’ Market is held on Wetherby Market Place on the second Sunday of every month from 9.00 am to 1.00 pm. 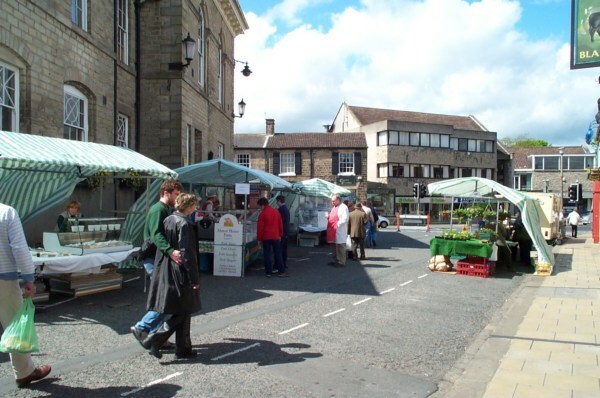 It is run by Otley Town Partnership as part of the Yorkshire Farmers’ Market Group, which includes the markets in Harrogate, York and Otley. All the markets in the group are widely recognised by stallholders and visitors for the variety and quality of their produce. Stalls at Wetherby include jams and preserves, honey, cakes, plants, home-made pies, pork & bacon products, game produce, chocolates, fruit and vegetables, soups, fish and an award-winning Indian sauce producer. For customers who prefer their food to be Gluten free we have a stallholder selling a range of sweet and savoury produce. The stallholders are always happy to discuss their products and to help visitors with their choice of purchases. There are lots of opportunities to sample the delicious food on offer. If all that mention of wonderful food leaves you feeling hungry there is a stallholder selling hot hog roast sandwiches or, if you prefer a good old fashioned sausage or bacon butty. For full details and information, please visit the Yorkshire Farmers’ Markets website.